Newspoll: One in four voters may spurn voting for major parties. The poll, taken from Thursday to yesterday, also shows voters have reset the contest between the government and the opposition at 50-50 in two-party-­preferred terms, as Malcolm Turnbull and Bill Shorten have both suffered a fall in their personal standings. While the two-party-preferred vote sees the first improvement for the Coalition since April — from 49 per cent to 50 per cent — the government’s primary vote has dropped one point to 40 per cent, which is the lowest level since the Prime Minister replaced Tony ­Abbott as leader almost 10 months ago. Labor’s primary vote has also fallen for the second consecutive Newspoll survey, dropping one point to 35 per cent, while the Greens lost one point to fall to a six-month low of 10 per cent. A breakdown of the 15 per cent support for micro-parties and ­independents shows the Nick Xenophon Team with national support of 3 per cent; a state breakdown of Newspoll last week found the party with a primary vote of 22 per cent in South ­Australia. Family First also has national support of 3 per cent, with the Palmer United Party at 1 per cent, One Nation at 1 per cent and ­others adding up to a combined 7 per cent. 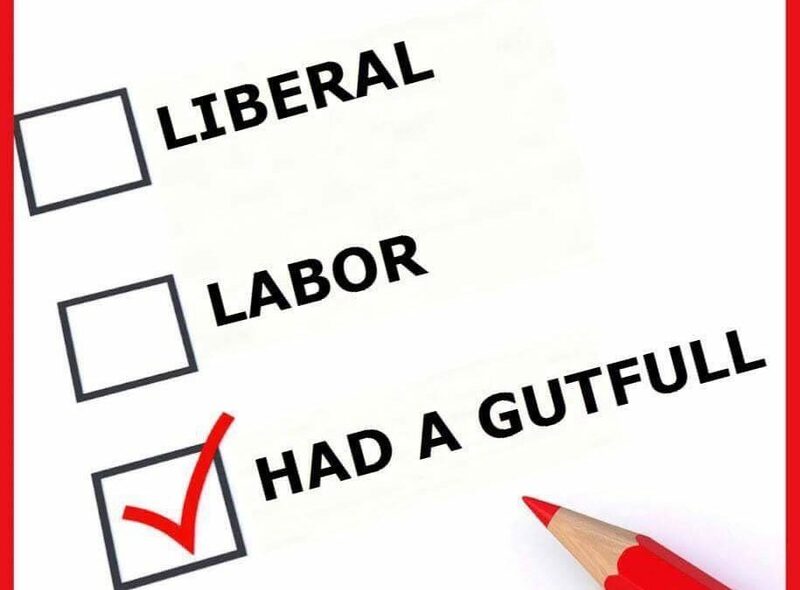 When the Greens are added to this group, it shows one in four people do not plan to vote for Labor or the Coalition, which if ­reflected at the ballot box would beat the record 21 per cent in the 1998 and 2013 elections. Mr Turnbull has begun urging voters not to vote for micro-parties such as the Nick Xenophon Team, independents or the Greens, warning that it could lead to ­“chaotic unstable alliances” in the parliament to form government. The Opposition Leader has ­insisted he will not do a deal with the Greens. The poll also suggests that if the ­Coalition was returned it would face a repeat of the difficulties from the last parliament in passing legislation through the Senate and would rely on a crossbench principally controlled by Senator Xenophon, in cases where it could not secure the support of Labor or the Greens. The Newspoll of 1867 voters shows satisfaction with Mr Turnbull’s performance fell one point to 37 per cent, while dissatisfaction rose one point to a new high of 51 per cent. The Prime Minister’s net satisfaction rating, the difference between those who are satisfied and those dis­satisfied with his performance, ­deteriorated from -12 points to -14 points. After a jump in the previous Newspoll, satisfaction with Mr Shorten’s performance fell four points to 33 per cent, dissatisfaction rose three points to 52 per cent and his net satisfaction rating went from -12 points to -19 points. Both men also declined in the better prime minister ratings, with Mr Turnbull dropping one point to 45 per cent and Mr Shorten down one point to 30 per cent, with 25 per cent of voters undecided. No leader in the past three decades has won an election with their better PM rating below 40 per cent. With a recent breakdown of Newspoll showing a high number of women were undecided about how they would vote and which leader they preferred, Mr Shorten yesterday rolled out one of his biggest campaign announcements, to deliver $3 billion to increase childcare assistance for low- and ­middle-income families, who tend to live in marginal seats. At the weekend, he repeated that “Labor are the underdogs” and he faced a “steep climb” to win the 21 seats required to form major­ity government. If today’s two-party-preferred result were repeated on election day with a uniform swing across the marginal seats, Labor would pick up 14 seats. Both sides are focused on the battle in individual marginal seats, where results are expected to deviate from the national swing, but each of the major parties is also facing a threat in previously safe territory from the Greens and ­independents. The Liberals are nervous at the prospect of losing Mayo and perhaps Sturt in South Australia to Xenophon candidates while Labor feels under siege from the Greens in a couple of inner-city seats, especially Melbourne’s Batman. The latest Newspoll follows the leaders’ debate at the National Press Club and comes after a week where the government seized on the strongest economic growth figures in four years to promote its “jobs and growth” message.